The Business Voice Winter 2019 Issue is Now Here! The Northern Virginia Chamber is excited to announce the release of the Winter 2019 issue of The Business Voice, in partnership with InsideNova/Rappahanock Media LLC, Northern Virginia’s leading news source. In this issue you will hear from business leaders from across the region about the impact of Amazon’s decision to locate a major headquarters in our region. Additional features include spotlights on TedxTysons, Leadership Fairfax, Marymount University, Helios HR and more. Please contact Elaine Gilligan (egilligan@NOVAChamber.org) for consideration of content submission in upcoming issues. 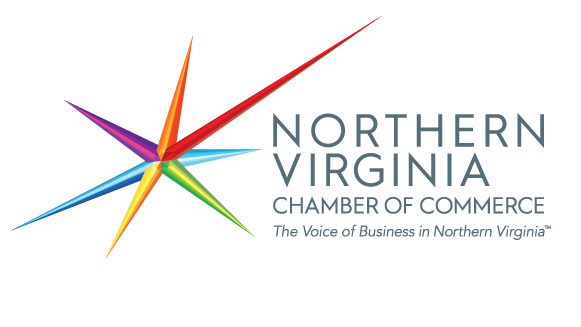 The Community Foundation for Northern Virginia, in partnership with the Northern Virginia Chamber of Commerce, the Northern Virginia Regional Commission and the Northern Virginia Technology Council, announces the 2019 Shape of the Region Conference, The Business Case for Economic Mobility on Thursday, March 7 from 8:00-11:45AM. Our local economy continues to thrive. But our region, like the entire country, is experiencing a growing gulf between the have and the have nots, rising income inequality, and a lack of economic mobility that has developed in the past 50 years. It is a defining problem of our age, and everyone has a role to play in helping to solve it. Inspired by the US Partnership on Mobility from Poverty, the 2019 Shape of the Region Conference will discuss strategies that each sector of society can deploy to achieve a more expanded, more inclusive economy that benefits us all. Sponsorships now available, please contact Jennifer Williamson for more details. To learn more and register, click here. The Northern Virginia Chamber of Commerce and Velvet Suite, Inc. are proud to announce The 2019 She-Suite ® Summit, the premiere experience for influential leaders to elevate a successful career and a significant life. The event will be held on Thursday, March 14 from 8:30AM-5:00PM at The Ritz-Carlton, Tysons Corner. Join us to discover proven strategies and high caliber connections to activate your own personal brand of leadership as your greatest authentic advantage. Sponsorships now available, please contact Jennifer Williamson for more details. To learn more and register, click here. Join the over 500 attendees expected to attend to celebrate our public safety professionals and support educational achievement on Friday, March 22! The Valor Awards, now in its 41st year, honor public safety heroes from the Fairfax County Police Department, FairfaxCounty Fire & Rescue Department, Fairfax County Office of the Sheriff, Herndon Police Department, and Vienna Police Department who have put their personal safety at risk to keep our community and businesses safe. This year's awards will be hosted by Leon Harris, Anchor, News4. To learn more and register, click here. Langley Ethics Day Committee is excited to open adult volunteer registration for the 15th annual Senior Ethics Day! Imagine approximately 500 seniors spending a day learning and practicing ethical decision-making for life after high school. Register now to volunteer for an opportunity to impact high school seniors as they embark on the next chapter of their lives. Ethics Day will be held on Tuesday, March 26 from 8:15AM-2:30PM. To learn more and sign up, click here. Come meet Smart City Works’ newest start-ups and technology firms —in Smart Construction, Supply-chain Management, Intelligent Buildings, Cyber Security, and GovTECH— that are changing the way we design, build and live in cities! The event will be held on Thursday, January 31 from 1:00-4:00PM at the Virginia Tech Research Center in Arlington. To learn more and register, click here. Join Protorae Law Trusts and Estates partner David Knasel, along with financial services provider Ken Fahmy of Fahmy and Associates, as they discuss best practices for business owners to consider in order to facilitate an orderly transition of management and ownership of their business on Wednesday, February 13 from 12:00-1:30PM. Learn more and register here. BDO USA, LLP, announced the appointment of Ed Amorosso, office managing partner in the Norfolk office, and Aaron Raddock, managing director in the Greater Washington, D.C. office, as national Government Contracting practice co-leaders. In their new roles, Messrs. Amorosso and Raddock will be working together to expand the Government Contracting practice, which provides tax, assurance, transaction advisory and consulting services to over 400 clients ranging from emerging businesses to Fortune 100 companies. Dewberry has announced the promotion of more than 65 employees nationwide, including 12 staff members within the firm's headquarters in Fairfax, Virginia. The promotions coincide with Dewberry's ongoing expansion of engineering, architectural, and consulting services in the D.C. metropolitan region, where the firm has practiced since 1956. To learn more and view the promotions, click here. ARTSFAIRFAX 8th Annual Arts Awards – Submit your Nominations Today! ARTSFAIRFAX will hold its eighth annual Arts Awards to recognize the visionary contributions that the arts bring to Fairfax County and the Cities of Fairfax and Falls Church. The Arts Awards bring together the arts community, business community, civic and elected leaders to celebrate the extraordinary contributions of artists, arts organizations, and the private sector for their support of the arts in our community. This year's awards include: Emerging Arts Awards, Arts Achievement Award, and Arts Philanthropy Award. Self-nominations are accepted and the deadline for submissions is February 14, 2019. For more information and to learn how you can participate, visit ARTSFAIRFAX.org, email artsawards@artsfairfax.org or call 571-395-4619. Northern Virginia Chamber Member, Anthony H. Anikeeff, Co-Chair of Williams Mullen’s Government Contracts Practice recently published two blogs related to the Small Business Recovery Extension Act of 2018, which President Trump signed into law on December 17, 2018. The law revises the SBA’s small business annual receipts measurement lookback from a three-year average to a five-year average. The first blog post analyzes the law in the immediate aftermath of it being signed into law, and the second blog post analyzes the Small Business Administration’s recent notice that until the SBA changes its regulations, businesses still must report their receipts based on a three-year average. CohnReznick and Unanet have once again partnered to conduct a government contracting industry benchmarking survey. The results of this survey has been compiled into the 2018 GAUGE Report which focuses on five major areas of contracting: Government Contract Compliance, Accounting, Utilization, Growth, and Efficiencies. With more than 1500 contributors this year, representing a wide array of government contractors of all sizes, the 2018 Report is intended to provide valuable insider information for all size contractors, but this edition is especially focused on small contractors pursing prime contractor status. Access the full report here. Interested in having your story featured in the next Doing Business? to a landing page with the full story, to Taylor Crabtree for consideration.